One of his non-successes is his time as a video game commentator which led to being banned for life from the Eurogamer Expo. Microsoft cut ties with him because of controversy over alleged sexual harassment. He owns an orange Laborghini Aventador which he showed in his November 30th, 2014 video. Well, it was orange until he had it wrapped – first in purple and then in a satin black, and finally added some red lines. Who knows what color he’ll go with next. He is active in prostate cancer charity promotions as well as the Save the Children organization. He was also the face of Sport Relief in 2014. 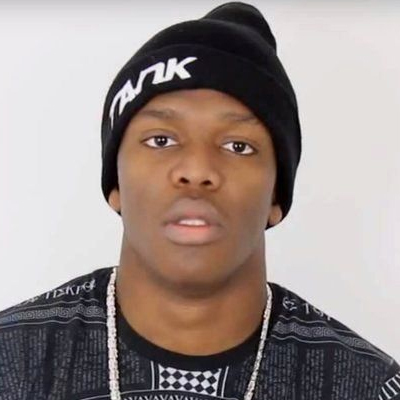 KSI is an agnostic. He is one of the richest vloggers with a net worth in the millions. KSI’s brother, Deji, is known as ComedyShortsGamer on YouTube. His parents are Jide and Yinka Olatunji. He has featured both his parents and his brother in a number of his YouTube videos. He owns a penthouse in London. KSI had a two-year relationship with Seana Cuthbert. They broke up in 2014 but are still good friends.